Bitcoin BTC – What is Bitcoin? Bitcoin, “BTC” in short, is a so called cryptocurrency. It is controlled by a decentralized network of users and is free from the influence of banks or any government. The cryptocurrency market is growing rapidly and a lot of new currencies are rising. However, Bitcoin is still the most popular and widely used cryptocurrency available. Like traditional currencies, such as the EUR or USD, Bitcoin has a relative value to other currencies and physical goods that forms the price that you can buy or sell. One coin can be divided into smaller units of value and the smallest available coin unit is 0.00000001 Bitcoin. 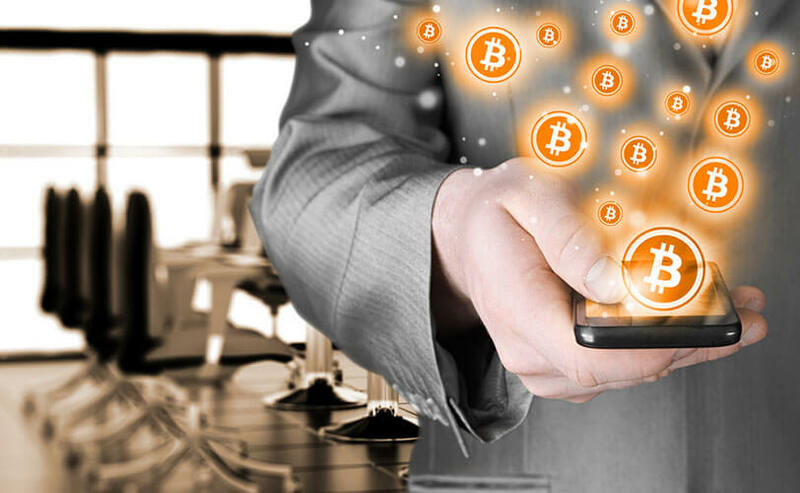 Bitcoin is becoming more popular day by day and you will find a constantly growing availability of merchants who accept Bitcoin as a payment option. There are also a lot of platforms where you can exchange them for other currencies (traditional and other virtual currencies) at any time of the day. With this article we give you some more details about the benefits of using this virtual currency and which eWallet provider already offers Bitcoin as a payment option to their customers. Bitcoin BTC – Why should I use it? There are several good reason to use Bitcoins, but one of the biggest benefits is the anonymity and privacy it has compared to traditional currencies. By using a traditional online bank account or credit card your privacy is not protected. Transactions are clearly associated with you. This means that merchants and public authorities can track how you spend and receive your money. Using Bitcoin on the other hand allows you to stay completely private, because your Bitcoin account is not linked to your personal data. You can still track the Bitcoin flow between two users, but it is much harder to connect and identify those transactions to the persons involved. Another great benefits is the independence from any bank or government. Since it isn’t controlled by any central bank or political influence it is also much harder for governments to freeze or seize Bitcoins. Especially for people from countries with political issues or restrictions Bitcoins might be a solution to their problems. Besides those two major benefits, Bitcoin has also much lower fees compared to other digital payment methods, such as credit cards or PayPal for example. The fees can still vary depending on the transaction, but it’s rarely more than 1%, which is quite low. Though such fees are variable, it’s rare for a Bitcoin transaction to cost more than 1% of its value. Compare that to 2% to 3% for most other digital payments. Last but not least, Bitcoin is a way to diversify your Investments and to make returns from trading Bitcoin. Bitcoin BTC – How can I fund my eWallet Accounts with Bitcoin? You can find Bitcoin as a payment option for all our three eWallet partners. You can use Bitcoins to deposit funds to your ecoPayz, NETELLER and your Skrill account. Let’s start with Skrill and have a look at some more details on how to deposit with BTC there. If you want to send Bitcoins to your Skrill account just login to your account and go to the account overview. There you just need to click “Upload” and choose Bitcoin as payment option on the next page. The maximum amount is 500 EUR and you pay 1% fee no matter how much Bitcoin you transfer. For NETELLER the process is pretty much the same. Just login to your account and click “Money In”. There you can find the Bitcoin payment option. Enter the amount you want to add to your account in your account currency and confirm. You will be redirected to Bitpay. Please make sure to send the exact amount to the Bitcoin address they are showing. Changing the requested amount in your Bitcoin Wallet will require manual processing and could delay your transaction until the next business day. Depending on your account status the max transfer limit can vary. ecoPayz also offers Bitcoin transfers to deposit funds into your account, but the option is a bit more hidden. Just login to your account and choose “Deposit”. A new page will open where you need to click on “Alternative Currency Deposit”. Now you will see a new payment option called “GoCoin”. After clicking you will be redirected to the GoCoin page, where you choose between different digital currencies including Bitcoin. The minimum amount is 100 USD and currently there is no maximum limit for your transfers. They also charge you with a 1% fee. Bitcoin BTC – How can I buy Bitcoin with my eWallet Funds? As you can see there are a lot of benefits by using Bitcoin as a payment option and it is also easy to use. It is safe to say that digital currencies will become even more important during the next months and years. So it is a good time to prepare for that and take a closer look at the available options. If you are looking for a legit and solid partner to buy Bitcoin using eWallet money, take a closer look at our partner Coinimal/BitPanda. Coinimal GbmH is an Austrian Start-Up that specializes in Sellling and Buying Bitcoins and other digital currencies. It was founded in October 2014 after a long development phase in coordination with the local authorities. The three founding members are Bitcoin Enthusiasts and had to witness themselves how hard it was to acquire Bitcoin in the EU. This deficiency in the market led to the idea of BitPanda. BitPanda.com is a fully automated platform: As soon as a payment is confirmed, the Bitcoins & Co. are automatically sent to the buyers. This technique allows us to provide our customers the best and fastest Service in the business. The great thing about BitPanda is that unlike other Bitcoin Operators, you can use your Skrill and NETELLER account to pay for your coins. Therefore all transfers are eligible for our Skrill and NETELLER Bonus Program. Not only you will have a strong partner at your site by using BitPanda, you will also get paid for any transfer to them. If you have any further questions about eWallets and Bitcoin, please contact us . We are happy to help.